I am Nan Li, a cosmologist. We are all frogs in a well, nevertheless some are closer to the mouth of the well. Fig. 1: - Illustration of light deflection by gravitational potential. 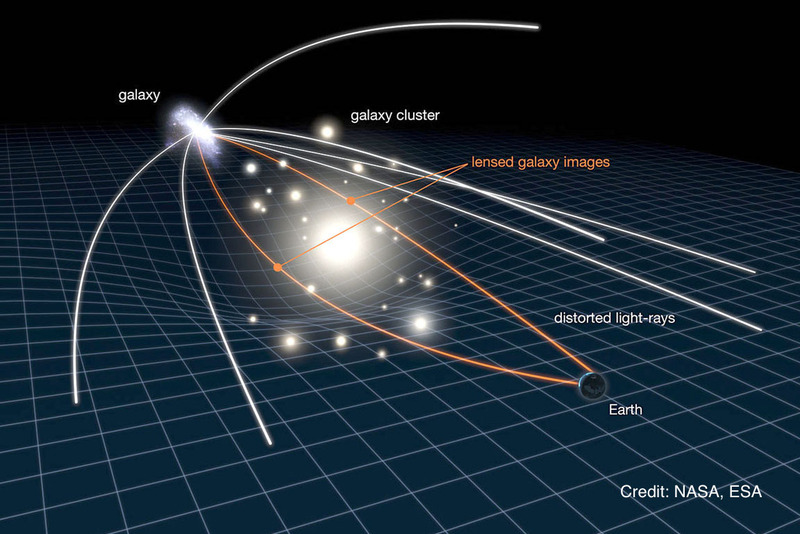 Gravitational lensing is the phenomenon of light deflecting when photons pass through a gravitational potential. The occurrence and morphology of lensed images reflect the properties of gravitational potential of the lens. It has become one of the most promising tools to study the mass distribution of the lenses and the geometry of the Universe. Lensing effects can be observed on all scales: weak lensing on the scale of Mpc, strong lensing on the scale of kpc, and micro lensing on the scale of pc. It is applied in astrophysics and cosmology to study a wide range of problems, e.g., reconstructing mass distribution of lens, identifying faint or dark substructures, detecting galaxies at high redshift, measuring the Hubble constant, amongst other applications. Thus, gravitational lensing is a universal tool, it extremely useful for understanding the Universe both on large and small scales. Can you tell whether this image is a real observation or a simulated lensed image? 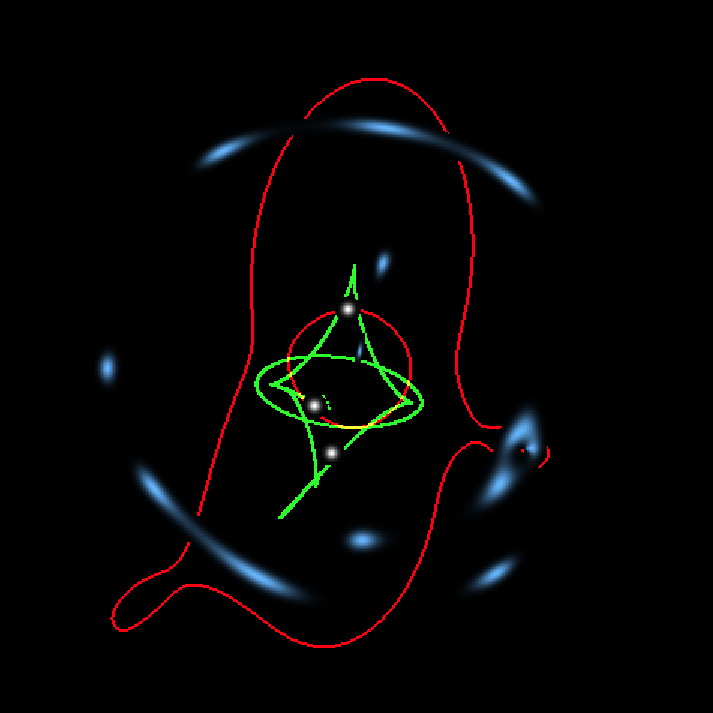 Bending Lights is a software for visualizing strong gravitational lensing. 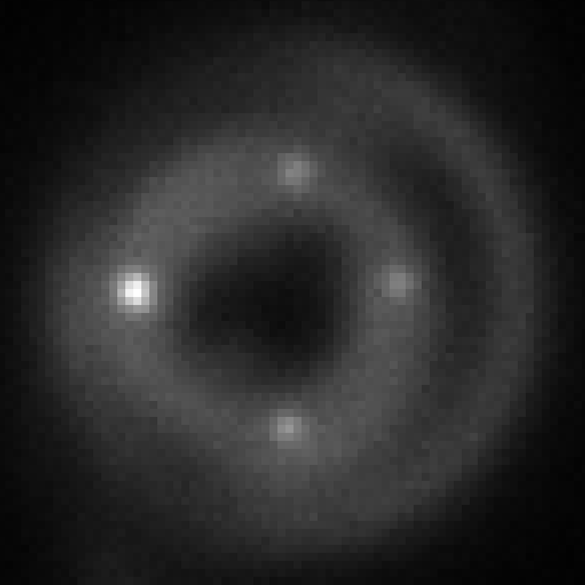 This is a simulated galaxy scale strong lensing system with lensed supernovas and strongly lensed double Einstein Rings. 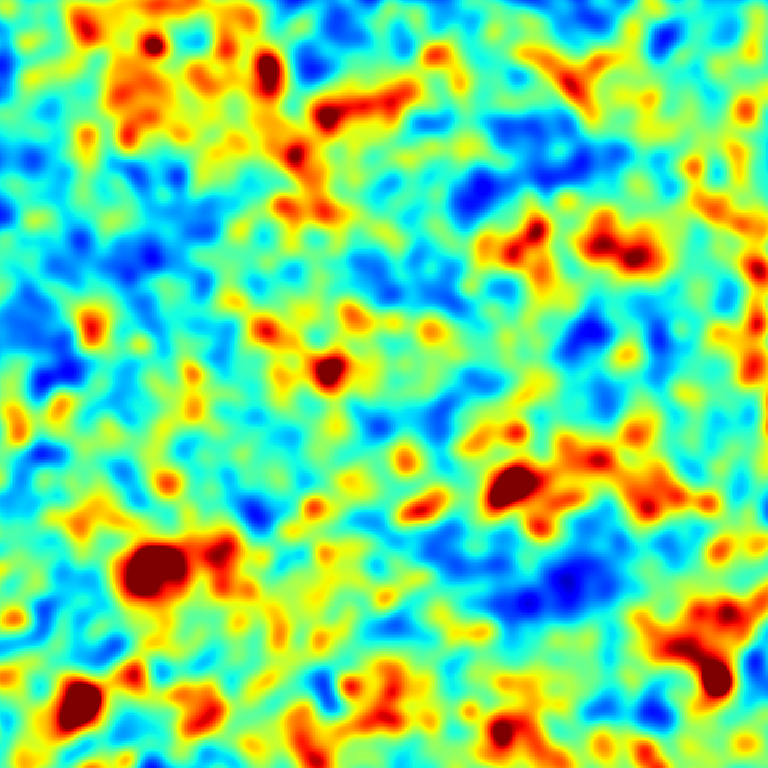 The underlying structures of super structures will be revealed using this simulated convergence map. My name is Nan Li. Currently, I am a joint Postdoc at the University of Chicago and Argonne National Laboratory. 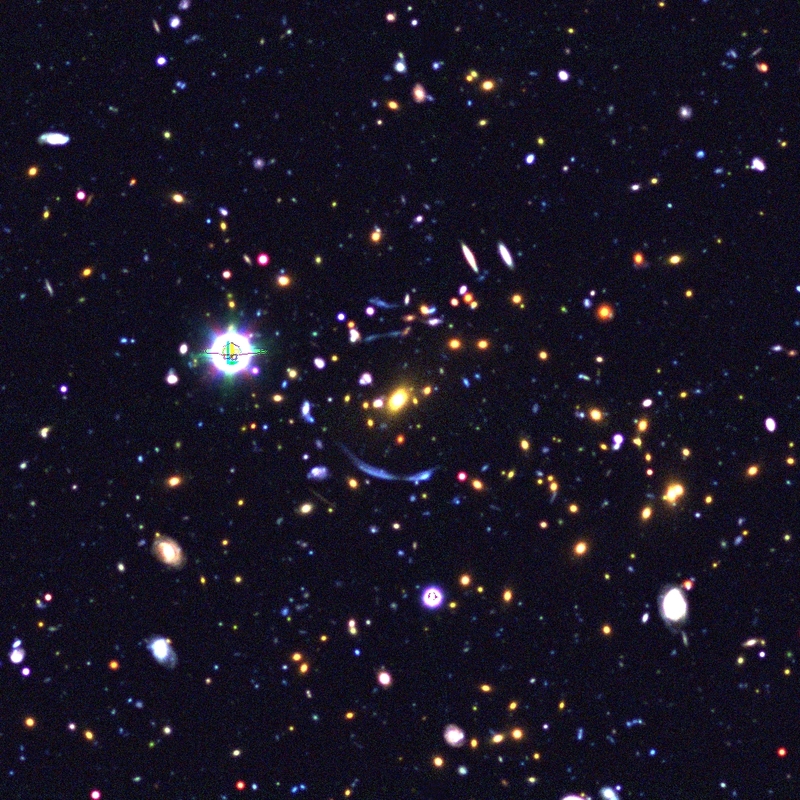 Over the past two years I have concentrated on the construction of gravitational lensing simulations (including strong and weak lensing in galaxy clusters, and galaxy-galaxy strong and weak lensing). 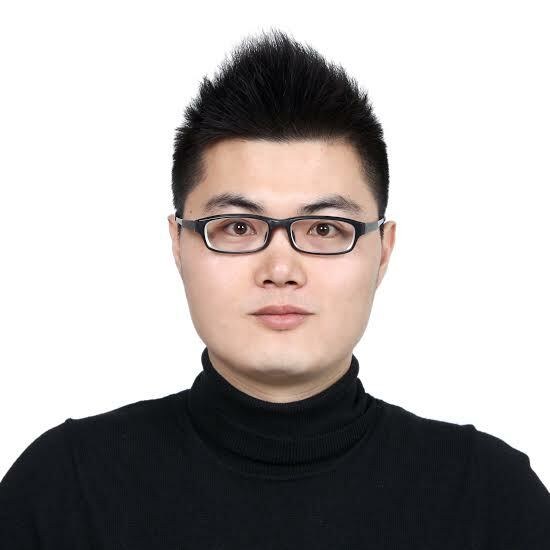 I am experienced with Python, C\C++, and Cython, and familiar with OpenMP, OpenCL, and MPI4py. I am also knowledgeable with running codes on super computing resources (e.g., Edison at NERSC). In the future, my research interests are mainly on the Twinkles simulation, which is a simulation on gravitational lensing time delays in galaxies, and applying machine learning on lens-finding. I am seeking a postdoctoral position or a research scientist position now, please click the buttons below to obtain my CV and research statement, if you would like to know more about me and my work. Should you have any further questions, please feel free to contact me via the ways below.